The TGS Pro Multi from Williams Sound is a personal PA tour guide system that provides wireless communication and hearing assistance, ideal for use in tour groups, cruise ships, museums, and more. The system consists of a T36 beltpack transmitter, a MIC 096 microphone, 10 R35-8 receivers, batteries, and a carrying case. The compact transmitter clips easily to a belt or waistband for hands-free use. It has a mic input and an Aux jack for accepting mic and line level sound sources. It has an on/off/mute switch and a convenient channel selector. The system has 8 selectable operating frequencies from 72-76MHz, allowing multiple systems to operate in the same area without interference. The MIC 096 is a head-worn microphone that provides high-quality vocal pickup for clear communication. The R35-8 receivers are compact and portable, making it easy for listeners to slip them in a pocket or carry them by hand. Each receiver has a standard headphone jack, allowing you to use a variety of headphones or earbuds. A large power/volume control puts each listener in control of his/her experience. The transmitter and receivers operate on AA batteries for easy operation and replacement. Note: FCC rules limit the use of this equipment to auditory assistance only. 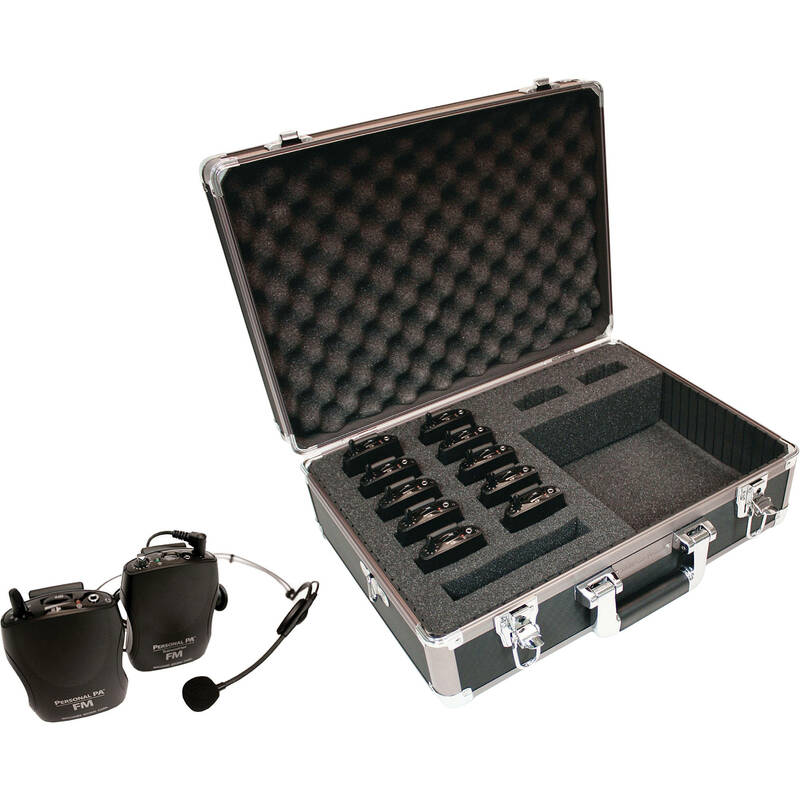 Box Dimensions (LxWxH) 19.0 x 14.0 x 7.0"
TGS Pro Multi 10-User Personal PA Tour Guide System is rated 5.0 out of 5 by 3. Rated 5 out of 5 by Tgrippaddler from Great performance and dependability We own 2 systems and they are in constant use. We have very important customers touring our facilities and their ability to hear their guides in vital. The Williams Sound system has been a game changer in customer satisfaction while in our plant. Great solution in a noisy environment. Comfortable and easy to use. Rated 5 out of 5 by .msimagestudio from Easy to use. They system is very easy to use. Works very well for translation services. Remember to have extra batteries on hand if use. The case makes it easy to store and carry around. You have to order the headsets seperate. Rated 5 out of 5 by Anonymous from This is a great value for the money. We use the tourguide system in a noisy factory for visitors and training on the floor. Sound is clear and over ear headphones block enogh of the ambient noise level.